The story so far… My name is Bugsy Bennett. 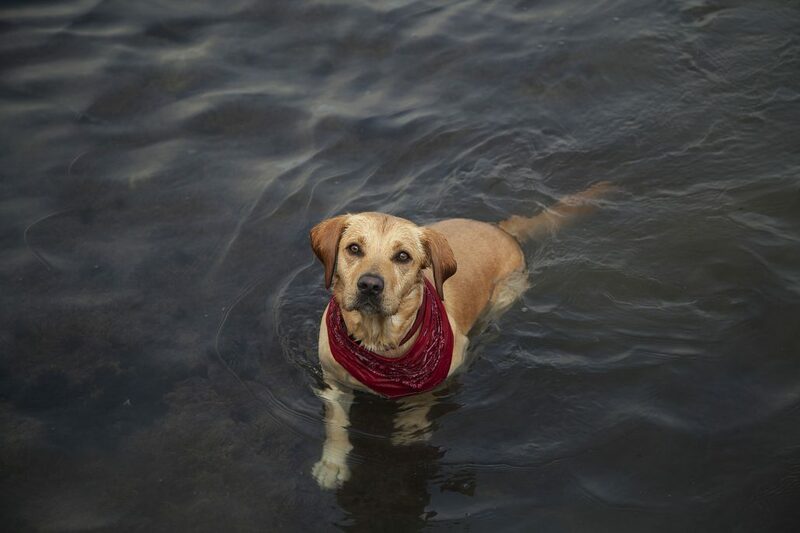 I am a friendly 5 year old Springador (Springer x Labrador) on a sailing adventure round the British Isles in a boat called SaltPot, with my owners, Mark and Karen. It’s day 12 of my sailing adventure. We’ve just travelled from Wells-next-the-sea past Grimsby, Spurn Head, Danes Dyke and Bridlington to wonderful Whitby, a beckoning bolthole on the North Yorkshire coast. On a beautiful blue Wednesday, we pass fishing boats and enter Whitby Marina, a welcome hideaway from the eye of strong easterlies and a storm coming. I love Whitby but miss the landlubbers who share my house back home. They are Amy, Jenny and my dear friend Muckles, the elderly cat, a hairy hot water bottle I cuddle up to on cold wintry nights. To quell my homesickness, I craft in my furry head a postcard I would send to my four-legged friends and their owners visiting this part of the Yorkshire coastline. My pet photographer owner is taking pictures of my adventures to share with you when I return! Whitby is pooch paradise! I wish you were here with me! Here are my top tips for a happy holiday here. 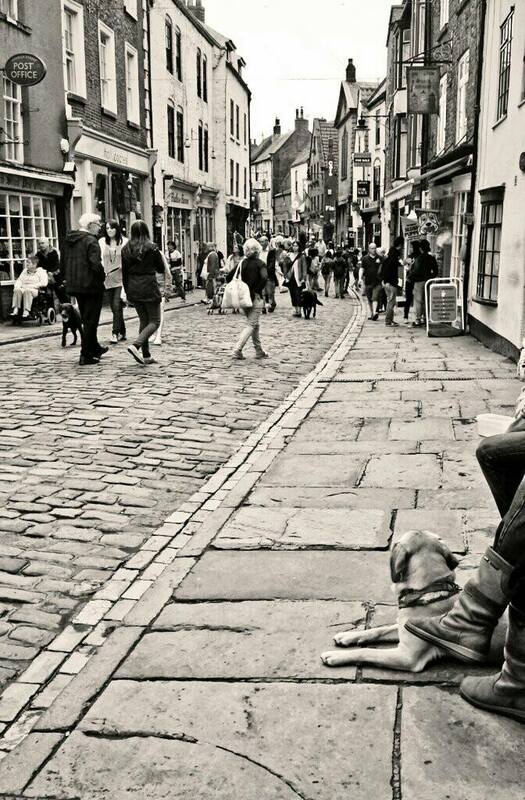 Watch the world go by on dog-watch in cute cobbled streets. Feel good to be alive, diving into rock pools, riding Nepture’s horses, the surf tickling your nose. Head off on a coastal walk along the Cleveland Way from Runswick to Whitby, finding washed-up flotsam and jet on wide open beaches. Let your fur down. 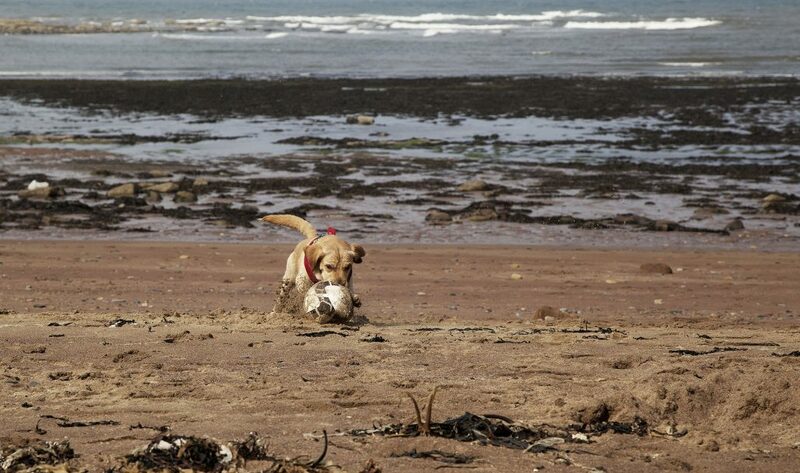 Work off energy finding then burying treasure (other dogs’ beach balls) in the sand. 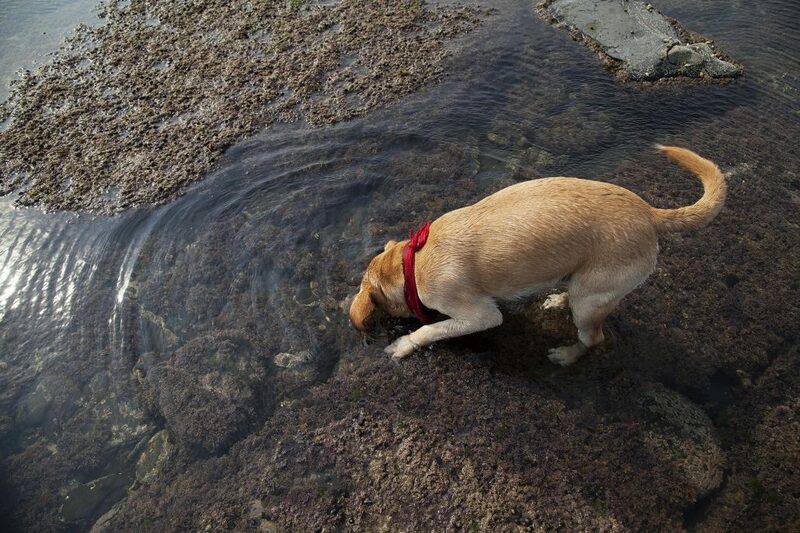 Enjoy a warm dog-friendly welcome, wherever you go. Accidentally startling a lady in a beer garden, causing her to throw an entire glass of lager over herself, I still receive a friendly pat! 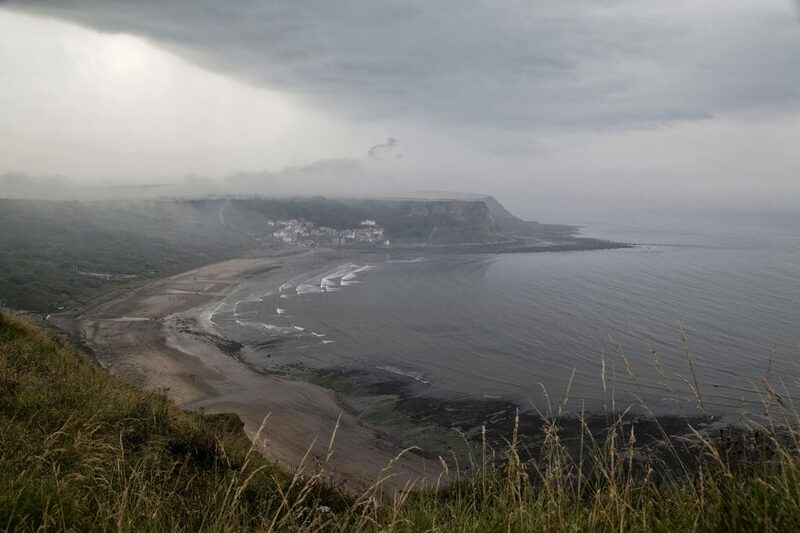 I love Whitby but home is where the heart is. I carry a piece of it wherever I go. So look after yourselves, I’ll be back soon! 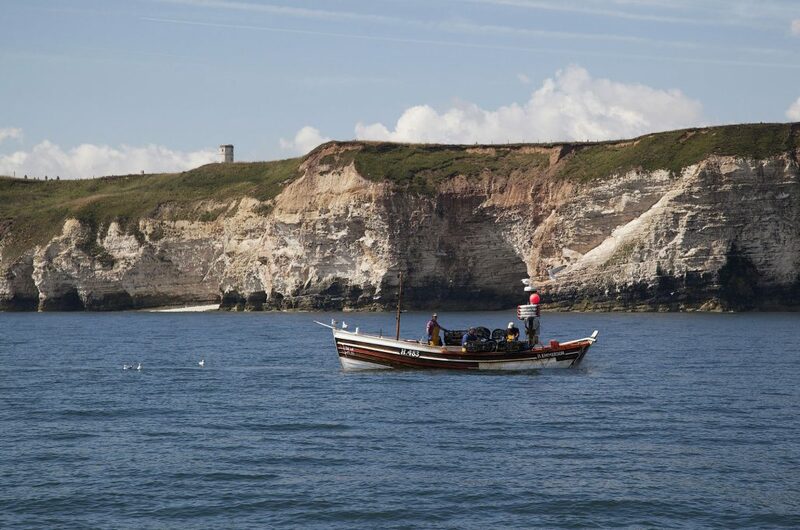 There is something for everyone in Whitby, a magical Yorkshire fishing port in Yorkshire. Its name “whiteby”, which means “the white settlement” in old Norse. It’s an eclectic mix of picturesque fisherman’s cottages, storied Georgian town houses, cobbled streets, fresh, tasty seafood and glorious beaches. 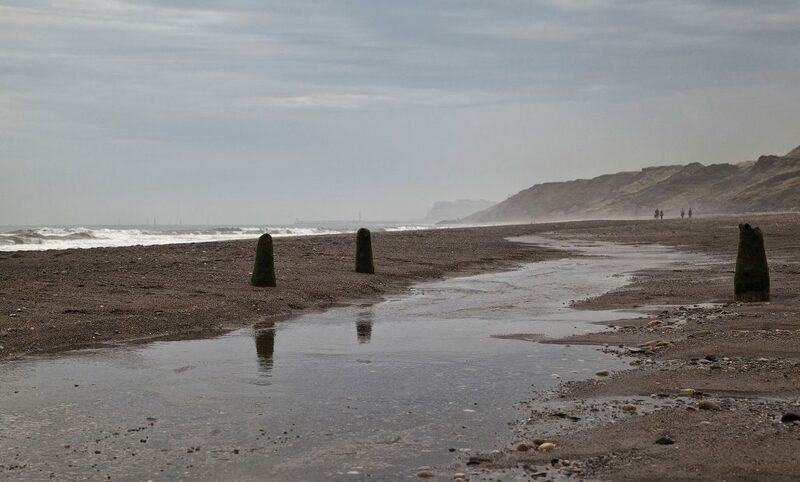 It’s famous for ‘Whitby Jet’ the famous 180 year old fossilised wood only found on this 7.5 mile stretch of coastline, mined and made into jewellery since Roman times. It was part of Queen Victoria’s mourning dress after the death of Prince Albert. Part of the ‘Dinosaur coast’ it’s famous for fossils (displayed in Whitby Museum) including the discovery of entire skeletons of Pteradactyls. On the East Cliff, overlooking the North Sea, the ruined Gothic Whitby Abbey, founded in 657 A.D. was Bram Stoker’s inspiration for “Dracula”. Nearby is the Church of St. Mary, reached by 199 steps. The Captain Cook Memorial Museum is in the house where Cook once lived, displaying maps and books. 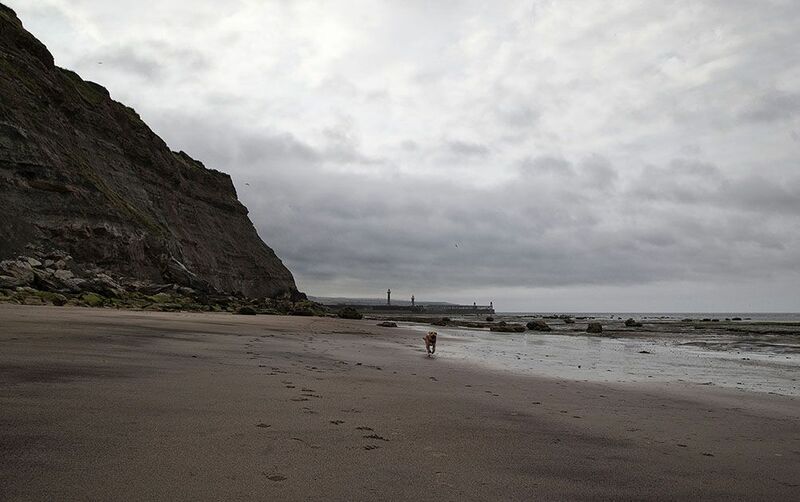 Atop the West cliffs of Whitby stands a monument to the town’s less glorious past; the huge jaw bones of a whale, a monument to those caught by Whitby fishermen – standing at an impressive height next to the monument of Captain Cook. West of town is West Cliff Beach, a large sandy beach lined with beach huts popular with tourists.